The ladyfish is a slender, thin, elongated fish that possess silver, shiny scales, large eyes and a forked tail. These fish are known to somewhat resemble their close relative, the Tarpon. However, there are more than a few differences, including size and slenderness of body. What are other names for a Ladyfish? This fish is referred to as skipjack, banana fish, ten-pounder, and chiro, among others. 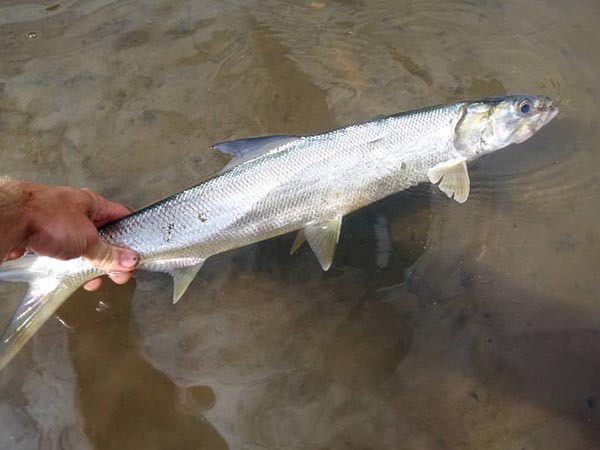 The average Ladyfish can get to 3 feet long and 15-20 lbs. 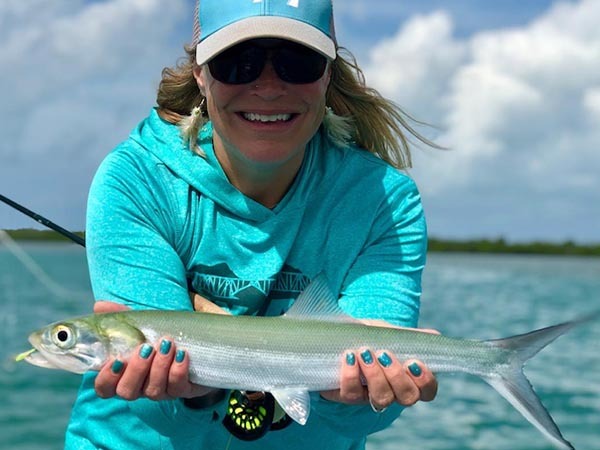 Ladyfish are found throughout tropical and subtropical regions including the U.S. Atlantic coast south of Cape Cod throughout the Gulf of Mexico and Caribbean Sea. The Ladyfish is known to prefer the open water areas in channels with moderate current. But, they can be found in inshore waters as they tolerate a wide range of salinity. These fish tend to follow the food and can be found in diverse areas. Ladyfish are entirely carnivorous and are known to be aggressive feeders. Their main prey are fish smaller than themselves, however they will eat shrimp and other crustaceans. 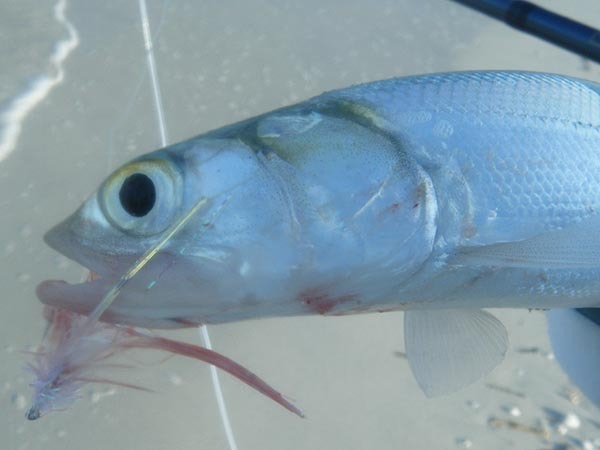 Are Ladyfish targeted by anglers? Because of their aggressive feeding and excellent fighting ability, these fish are exciting for light tackle and fly fisherman. However, they are not known to have any value as a table fare and are usually encountered while fishing for other species.